Santosh was forced to flee Nepal in 2014. He had to wait three years to reunite with his wife and meet his daughter for the first time. Santosh, a farmer from Nepal, was forced to flee the country in 2014. His wife, Sirjana, one month pregnant with their first child, had to stay behind. For six months, Santosh traveled across the globe, slowly working his way to the United States. He passed through India, Africa, Brazil and other Central and South American countries before arriving at the U.S. – Mexico border in August 2014 and asking for asylum. After a long and difficult waiting period, he was granted asylum in a New York court and moved to Houston in 2016. “After I come here I feel good, I’m safe and can worry about my family. America is great, and it respects human rights, you know,” explains Santosh. 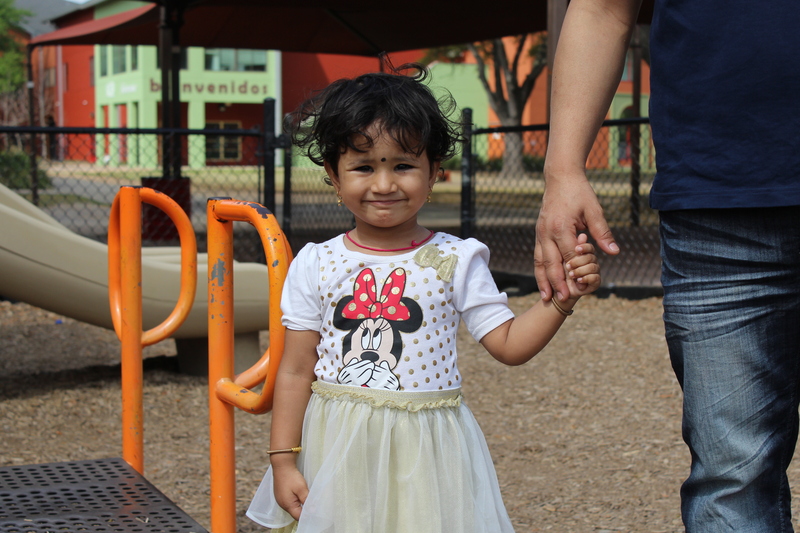 In 2017, Santosh approached BakerRipley staff for help in bringing his wife and now three-year-old daughter, Sanjana, to the U.S. as refugees. After a year wait, his case was approved on December 11, 2017 and his family flew to Houston nearly two weeks later. Santosh finally met Sanjana in person for the first time. 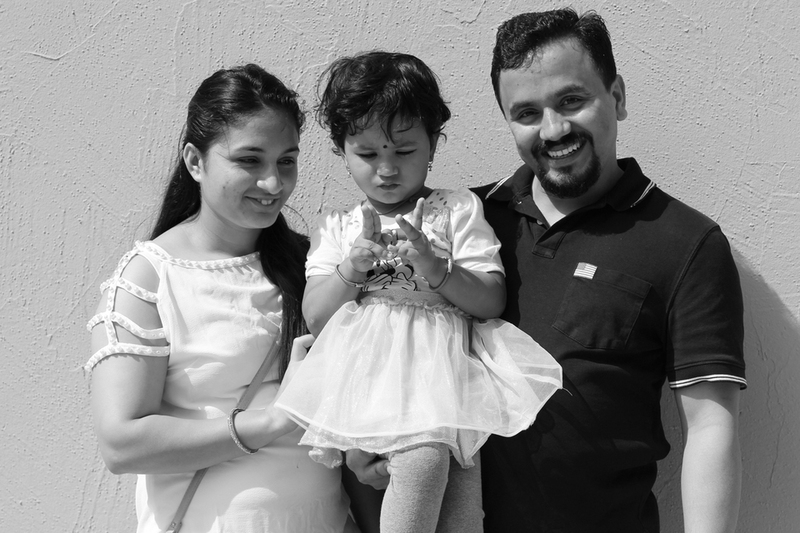 “It feels good, so amazing…” Santosh says about holding his daughter in his arms for the very first time. These days Santosh works at a grocery store and his wife is taking English classes every morning during the week. “She’s learning, now she’s going to the grocery store, paying for stuff, you know learning by doing.” says Santosh. 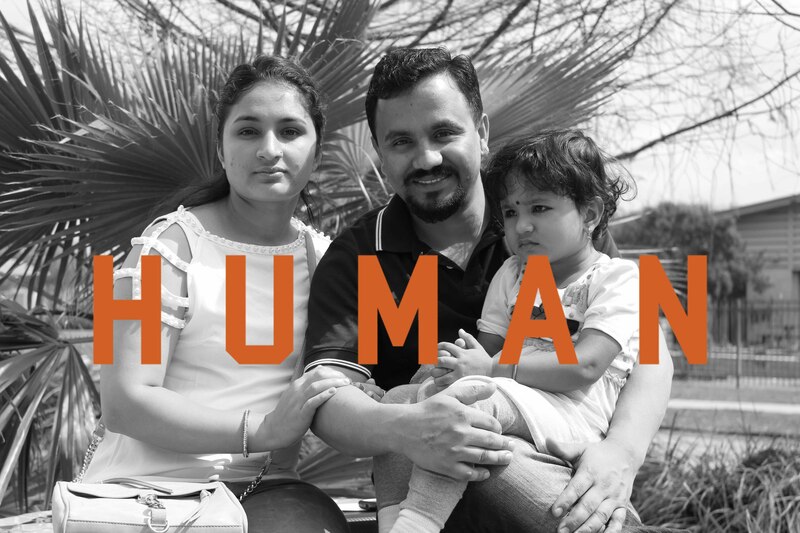 Slowly integrating into life in Houston, Santosh now dreams of a peaceful future for his wife and daughter. This is part of our HUMAN series. You’re human, and we may have something in common – tell us about it. Visit http://www.bakerripley.org/HUMAN to share your story with others.